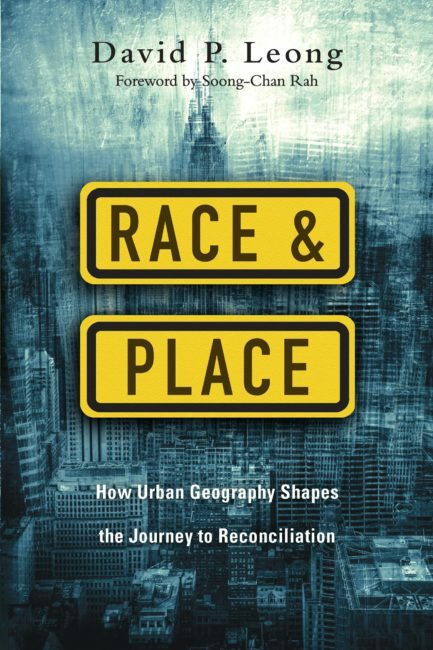 This is the second part of a review of the book entitled Race & Place: How Urban Geography Shapes the Journey to Reconciliation, by David P Leong. Read Part 1 here. Years ago, a friend of mine was flying into Edinburgh from London. He was a converted Premier league footballer visiting our church to give a talk. The plane he got on was a propeller plane and he sat in his seat nervously as it took off. A man in the next seat recognised him and sensed his nervousness. “Where you going, pal?”, he asked my friend. When my friend told him he was going to Niddrie, the man, who knew of the area, said to him, “Trust me, you’re safer in this plane than in that place.” On another occasion an American friend was staying in a hotel in the centre of Edinburgh. He spoke to reception and asked for a taxi to Niddrie. The lady behind the desk refused to order it for fear of his well-being. When he said he was going to a church there, she recommended he go to a church in a safer area. When he said he was going to a church there, she recommended he go to a church in a safer area. Christians may deny that these invisible barriers exist, or they may even declare that they have never been responsible for class segregation. Both those points may be true, but the fact remains that most middle-class people who have bought a new home in a previously run-down community, benefitted (unwittingly or not) at the expense of families who were removed from their homes and communities in the name of progress. These barriers are also perpetuated in churches that run small groups across the city in the name of Christian discipleship and community, and yet none of them meet in poorer neighborhoods. And, if somebody is converted from our communities, they are forced to go across the city and assimilate to a culture not their own (ironically in the cause of fostering close fellowship). All of this has an effect on what I label ‘compassion ministries’. Most compassion ministries in churches grow out of a mixture of love, guilt and a sense of charity. Yet, sadly, many ministries such as soup kitchens or food banks (as an example) foster an ‘us and them’ attitude in the church. The middle class (us) helping the working class/poor (them) doesn’t break down barriers, it just perpetuates them. Leong says, ‘When the people of God locate their lives among hurting people then there is no them when it comes to pain or injustice. There is just us and our collective sense of shared tragedy.’ (p120) To be fair to the middle-class church, it recognises that these visible, and invisible, barriers exist between them and working class/poor communities. Yet, their only answer to building bridges seems to be handouts rather than relocating. Just because you’re feeding 100 people a week doesn’t mean you’re helping them! Why the obsession with helping those in need from a distance? If you want to help a community, then join it. Move in. Join a local church (where one exists). There are planters and pastors across the UK in housing estates and schemes looking for people to join them. They need middle class professionals and those earning a salary to move in to their estates, work hard, contribute financially and begin to make a lasting difference in the lives of the people there. Now, there are those moving in to these estates and seeking to be good neighbours. They are hampered though, because there are no gospel preaching local churches there. In those cases, I say plant and/or revitalise if possible. Our people need more than good neighbours. We need localised, gospel loving communities that teach the Bible and take daily discipleship seriously. Middle class Christianity needs to give careful thought to how they are going to stop swimming with the flow of societal trends. Middle class Christianity needs to give careful thought to how they are going to stop swimming with the flow of societal trends. Christian thinkers, especially in the realm of church planting, have convinced themselves that the trickle-down effect is the best way to help the poor in our cities. We all know it doesn’t work but it is a nice little justification for going to plant in that nice neighbourhood or hipster part of town. What we need is a bottom up approach to planting and revitalisation. That’s when we will really begin to see fruit from our labours across all the classes of our society.